The field of clinical research is focused on developing cost-effective ways to treat disease and increase quality of life through successful development and launch of new biologics, devices, and pharmaceuticals and by incorporating the science of genomics or personalized genetic prescribing. Opportunities in the field are many and varied, ranging from the principal role of investigator to the supportive tasks surrounding regulatory compliance, scientific writing, marketing, data management and more. Employment settings include pharmaceutical, biotechnology, medical device companies, contract research, hospitals, educational institutions and independent contractors. New product development requires a broad collaboration among science and technology professionals who keep current in the medical and regulatory arena. The potential opportunities in the field of clinical trials management range from the principal role of investigator to the supportive tasks surrounding regulatory compliance, scientific writing, marketing, and retrieval of accurate and reliable data for submission to regulatory agencies. The research team collaborates across several business units, starting with the sponsor of the investigative new product, to the clinical site that collects ongoing data from subjects receiving the product, to the sponsor or designee who monitors the quality of the data being collected. 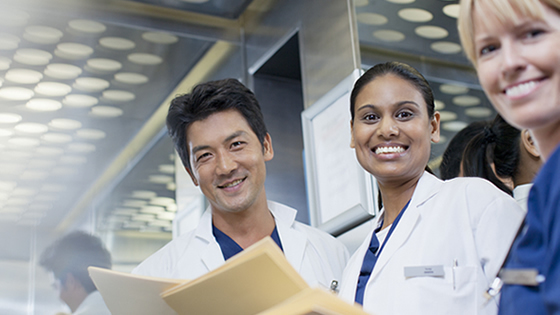 Professionals conducting clinical trials primarily come from health-care backgrounds. The curriculum of the Clinical Trials Management Online Certificate covers core concepts consistent with the Association of Clinical Research Professionals (ACRP) certification exams, a valuable credentialing opportunity for clinical research professionals. For exam details, including eligibility requirements, visit Association of Clinical Research Professionals. A clinical research professional may serve as a clinical investigator, sub-investigator, clinical researcher, research nurse, administrator, coordinator, data manager, project manager, IRB coordinator, quality assurance specialist, regulatory affairs specialist, research pharmacist, consultant, or educator in clinical trials management. To earn the Clinical Trials Management Certificate, all three of the following modules must be successfully completed with a grade of “C” or above. Follow-up checklist: disposition of outstanding product supplies, report data, etc. It is expected that students entering the certificate will have a strong science and/or health-care related background. In addition, two years of college level coursework is recommended. The certificate provides the fundamental knowledge to enter the field of clinical research. For details call 302-831-7600 or write to continuing-ed@udel.edu. The University of Delaware's Clinical Trials Management Online Certificate Program is an approved Lower Level Health Science elective (3 credits) for Wilmington University's Bachelor of Science degree in Health Sciences. For details, contact Wilmington University at coel@wilmu.edu. Michele Welch has over 20 years of experience in global pharmaceutical drug development at several large pharmaceutical companies, including AstraZeneca, Actelion and Abbvie. Her roles have included director of a field-based regional monitoring program and senior director of clinical study management, where she was responsible for management of in-house staff and accountable for the delivery of clinical trials across multiple therapeutic areas. In addition, Michele has held positions as project leader for a new drug application (NDA) submitted drug compound, and trainer in clinical development at Wyeth/Pfizer Pharmaceuticals. Prior to her career in the pharmaceutical industry, she practiced as an RN in various clinical agencies and taught nursing in academia. She received her BSN from the University of Delaware and her MSN from the University of Pennsylvania.